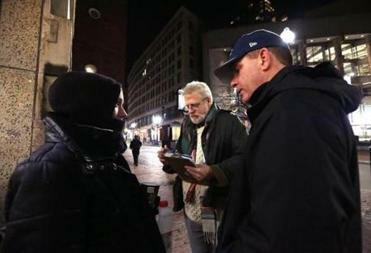 James Richard Taylor, Sr. met with Mayor Walsh during the city&apos;s annual Homeless census in January. The number of homeless families in Massachusetts has more than doubled in nine years, an increase that’s among the highest in the nation, according to a report released Thursday by the Boston Foundation. More than 33,000 families — or more than 100,000 people — have spent at least one night in a homeless shelter since 2008, said the report, which analyzed the statewide housing trends of families.Families make up more than half the state’s homeless population, a reality in only one other state (New York), according to the report. “While most of this report focuses on numbers and percentages, it is impossible to read it without thinking about the people behind the statistics: the families, especially the children, whose heartbreaking struggles with homelessness are influencing virtually everything about their lives and their futures,” Paul S. Grogan, president of the foundation, wrote in the report. Richard Ring, president of Family Aid Boston, and Deborah Hughes, CEO of Brookview House, nonprofits that house homeless families, attributed the increase to several things, saying the time frame studied captured the recession and its aftermath and skyrocketing housing costs. Ring also pointed to the fact that Massachusetts is the nation’s only right-to-shelter state, which means it guarantees shelter for homeless families. The report also shows that during the last two years, the state has begun reducing the population of homeless families. Ring said this is an indication that changes to the Emergency Assistance shelter program are beginning to work. One change Ring pointed to is efforts by Governor Charlie Baker’s administration to eliminate hotels and motels from the state’s emergency shelter system. “The governor has repeatedly said that homelessness is a human tragedy, and that sheltering homeless families in motel rooms is the most disruptive, and least effective, way of meeting this tragedy,” Paul McMorrow, spokesman for the Executive Office of Housing and Economic Development, said in a statement. But if the state wants to truly eradicate family homelessness it must increase affordable housing and the budget for the rental assistance program, homeless advocates said. The Boston Foundation authored the report in partnership with Westat, an independent research firm, with assistance from the Massachusetts Department of Housing and Community Development. Grogan wrote that he hopes the report will push legislators to make changes that will improve the lives of struggling men, women, and children. The public and nonprofit ecosystem around homelessness has evolved from trying to manage the problem to trying to reduce and eliminate it. Using data to better understand who is seeking help is one way to aid in this evolution, the report said. The demographics of the families staying in shelters in Massachusetts resembled, on average, those struggling with homelessness nationwide, the report said: a white single mother, about 30 years old, with two kids, whose family stays in a shelter for nearly a year. According to the report, about 56 percent of homeless families are white, 37 percent are black, and 40 percent are Hispanic. But, the report said, the demographic makeup of the families varies by region. 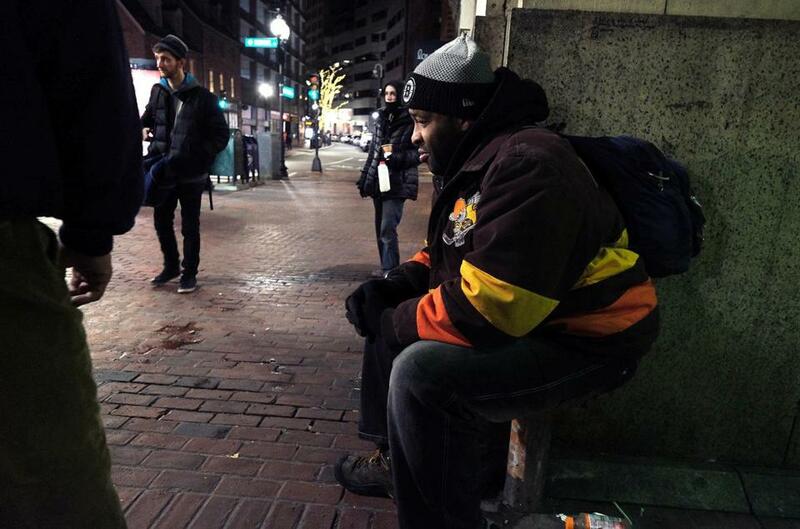 Boston, for example, has the lowest percentage of white families in homeless shelters, while Western Massachusetts has the highest, 78 percent. And in nine years, the snapshot of a homeless family hasn’t changed much, the report said. What has changed is the size of the family, which has increased from an average of 2.59 people in 2008 to an average of 3.23 in 2016. Much of this increase is attributed to the percentage of homeless families that now include a spouse or partner, according to the report. Those families have more than doubled since 2008, from 8 percent to 19 percent in 2016. There are fewer families entering the Massachusetts Emergency Assistance program and returning to shelters, but their length of stay has increased to nearly a year, the report said. From 2008 to 2013, the average stay in a shelter went from 247 days (about eight months) to 360 days (five days short of a year). The report said families typically fit into one of four categories when it comes to shelter use: temporary stays, repeat users, long-term stays, and a group made up of long-stayers and repeat users. About two-thirds of those seeking help are “temporary stayers, “who stay for an average of six months, the report said.